The Annual Conference of the Irish Association of Law Teachers was held on the weekend of 26th November 2010 in the Strand Hotel, Limerick City. As is traditional, the conference had a strong academic tone, with a series of keynote and plenary sessions, alongside parallel sessions on discrete areas of law. The theme for the conference was “Thirty Years of Irish Scholarship: Lessons from the Past, Visions for the Future”. The Friday night speech was given by The Honorable Justice Mr Bryan McMahon, who was also conferred with Honorary Membership at the Conference. Honaray Membership was also conferred on Prof Kevin Boyle, who has since sadly passed away. The Saturday Plenary session featured Prof Imelda Maher (UCD), Prof Dermot Walsh (UL) and Dr John Stannard (QUB). The speakers discussed the changes that have occurred, and the new challenges that have come about, in the areas of teaching and research in the Law School over the past 30 years. A special session on Research Metrics for the Law School was also convened, an issue in relation to which the Association will return in the coming months. That said, the conference is also traditionally a social event, and this year was no exception with a cultural outing on Saturday evening, a conference dinner on Saturday night and plenty of opportunities for networking and establishing contacts with colleagues researching and teaching in institutions other than one’s own. 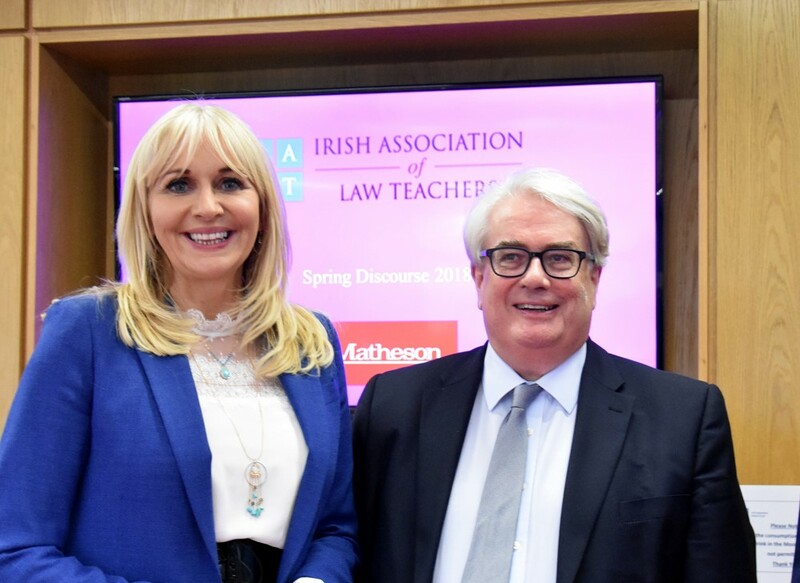 Deirdre Ahern Director’s Duties: Law and Practice. Professor Brice Dickson The European Convention on Human Rights and the Conflict in Northern Ireland. Dr Hakeem Yusef Transitional Justice, Judicial Accountability and the Rule of Law. Session A – The Irish Constitution: A Living Breathing Animal?